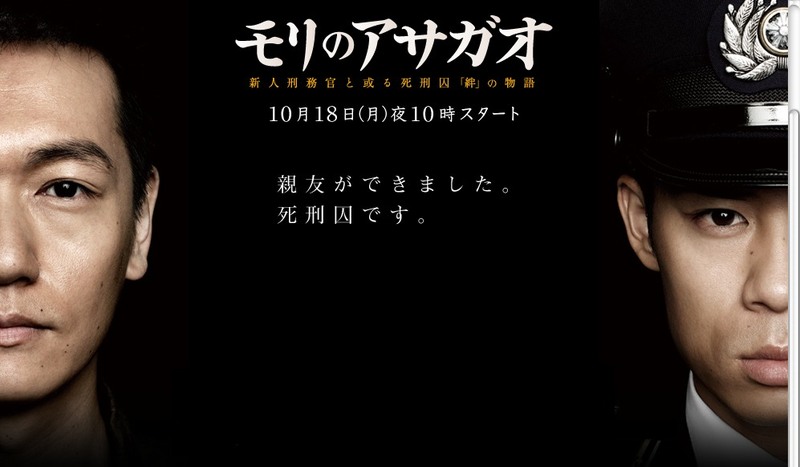 New prison officer Naoki Oikawa (Atsushi Ito) is assigned to the death-row section. When he observes the death row inmate's fear of their impending executions (they can be carried out without forewarning), he thinks about the death penalty system. Naoki Oikawa then encounters new death row inmate Mitsuru Watase (Arata Iura). Mitsuru Watase is on death-row for killing a man who attacked his parents. Naoki and Mitsuru were also on the same baseball team as children. Based on Mamora Goda's award winning manga "Mori no Asagao" (first serialized in Futabasha's Manga Action from April, 2004 to April, 2007).